Avg. Group Discount of 10.6%! Connected to Petco Park, home of the San Diego Padres, via exclusive pedestrian sky bridge. Minutes from Seaworld, San Diego Zoo, Seaport Village. In the heart of San Diego's vibrant Gaslamp Quarter, offering restaurants, night life, boutiques, galleries. EXCEPTIONAL SERVICE - From our first guests in 2004, to those staying with us tonight, the Omni San Diego has always exceeded each guest's expectations. Our exceptional team of hospitality professionals are hand-picked for their "can do" spirit; thoroughly-trained to anticipate your needs; and anxious to create memorable experiences. Each guest is sure to appreciate our prompt, thoughtful, and courteous service standards. LUXURY ACCOMMODATIONS - The Omni San Diego has come to be known as one of San Diego's and the nation's finest luxury hotels. Having completed a $5M renovation in 2013, the Omni provides contemporary guest rooms featuring floor to ceiling windows and spectacular ocean, bay, city and even dramatic ballpark views. Each guest enjoys elegantly appointed rooms with creature comforts such as 330 count Egyptian cotton sheets, plush terry robes, fully stocked refreshment center and coffee maker. Each thoughtful amenity is intended to create memorable experiences and make a stay with us like a home-away-from-home. LOCATION, LOCATION, LOCATION - The best of San Diego is right at our doorstep - exactly where you and your guests want to be. Nestled among the boutiques, galleries, restaurants and nightspots, the Omni is in the heart of the historic Gaslamp Quarter (perfect for a dine-a-round, a pub crawl, or unique off-property events). The city's top sites and attractions are just moments away. Explore Balboa Park, take a harbor cruise or catch a baseball game at Petco Park. Petco is home to the San Diego Padres and provides our guests exclusive access via our pedestrian sky-bridge. 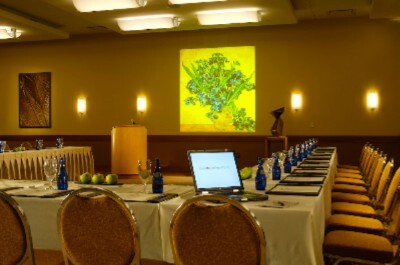 SENSATIONAL MEETINGS - Our seasoned team of professionals will oversee every detail. Our Operations Teams will execute each function flawlessly. Our Culinary Team will create innovative menus exclusively to meet your needs and impress each guest. We have the professional expertise to deliver on our promises and make your event is a resounding success. 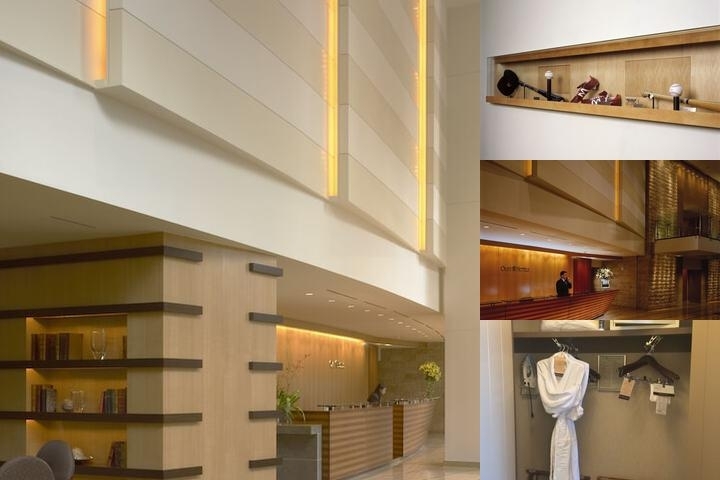 The Omni San Diego Hotel provides the flexibility of 27,000 square feet of versatile function space. 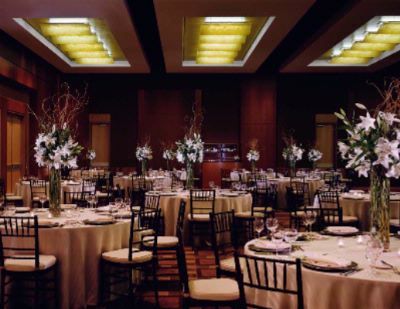 Grand Ballroom: 9,266 sqft, opening to pre-function space of soaring floor to ceiling windows. The Gallery: This excellent meeting space offers a completely self contained confernece space. The private foyer space, L Street Fine Art, offers a unique ballroom foyer with rotating exhibits of local artists.The Palm Terrace, with a fire pit, water features, and impressive views of the city is the ideal outdoor venue for memorable group events. Completing our extensive conference facilities are nine individual meeting rooms, two stately boardrooms, and an executive boardroom, the “Sky Box”, on the 19th floor. Each provide the latest in meetings technology, built in service banquettes, individual climate controls, and are enhanced with natural light from floor to ceiling windows. For added comfort, each Boardroom is complete with ergonomically correct executive style seating. WIRELESS & WIRED TECHNOLOGY - Benefit from technology built right in to our infrastructure. From guestrooms, meeting rooms and public areas, our guests benefit from high-speed wireless internet access. Meeting space is permanently hard wired with Cat5e, switched Ethernet network and a dedicated T1 connection to the Internet. ACTIVITIES FOR EVERYONE - San Diego offers activities and recreation for everyone in your group. Some might say a trip to San Diego would not be complete without a trip to the World Famous San Diego Zoo; or sitting in Shamu's "splash zone" at Sea World. Others will want to tour some of the 16 museums in Balboa Park; shop-till-you-drop at Seaport Village. If you still have time and energy, enjoy miles of bike trails along our harbor and Coronado Island, or an Old Town Trolley tour of the city. And of course, be sure and leave time for simply relaxing by the pool and soaking up our famous San Diego sunshine. Located on the 6th floor palm terrace, open daily until 10pm. Individuals may cancel up to 7 days prior to arrival. Pets under 40 pounds are welcome. $50 pet fee required. 3 miles from San Diego International (SAN). Only 10 minutes by cab - approximately $12.00. Local Shuttle Info: Approximately $7 each way. McCormick's and Schmick's opens at 6:00am daily. 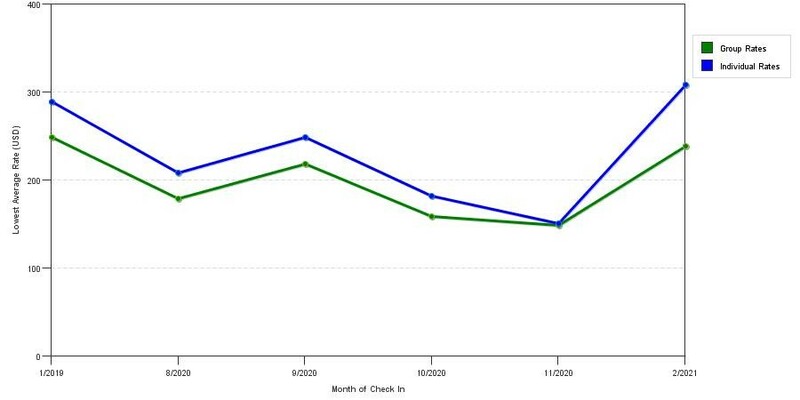 The chart above shows averages of prices for both our group quotes and the best individual traveler rates we could find at the time the group offer was entered. The best group deal shown is 50.1% in March 2017 and the highest average individual rate is $499 in the month of March 2017. This chart will show past seasonality and also project future months. If you are flexible with dates, you may want to consider staying at Omni San Diego Hotel in a month when rates are lower. Below are the meeting, banquet, conference and event spaces at Omni San Diego Hotel. Feel free to use the Omni San Diego Hotel meeting space capacities chart below to help in your event planning. Hotel Planner specializes in San Diego event planning for sleeping rooms and meeting space for corporate events, weddings, parties, conventions, negotiated rates and trade shows. Grand Ballroom divides into 5 individual sections, each opening to the Grand Foyer with 2 story floor to ceiling windows. 113 x 82 x 19 Ft. Located on the lobby level, across from the front plaza, The Gallery is 4,800 square feet of completely self contained conference space. This private space creates an environment conducive to brainstorming and networking. Unique to any other meeting facility, the Gallery’s pre-function space is home to L Street Fine Art, and features a rotating exhibit of the works of local artists. 145 x 33 x 10 Ft.